Earlier this week I traveled south from Gaza City to Khan Younis to see how families displaced by last year’s war are feeding themselves. 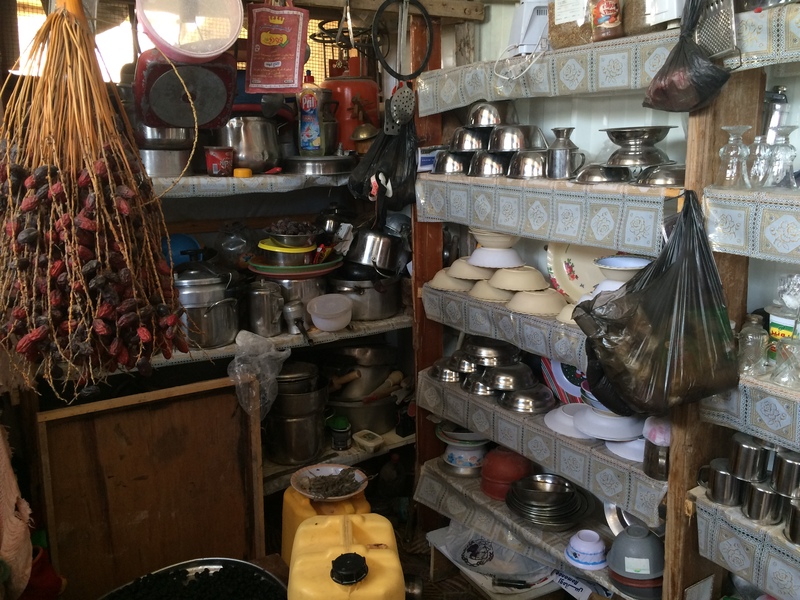 A group of ladies, a mother with an assemblage of daughters and daughters-in-law, invited me into their temporary “caravan” and showed me their remarkable kitchen. One fridge, a pair of gas burners, and enough pots and pans to run a restaurant. For lunch that day they had prepared pumpkin by stewing fried onions, tomato paste and pumpkin pieces in a pressure cooker. Using a pressure cooker cuts the preparation time which reduces the amount of cooking gas they need. Gas is expensive and often in short supply. 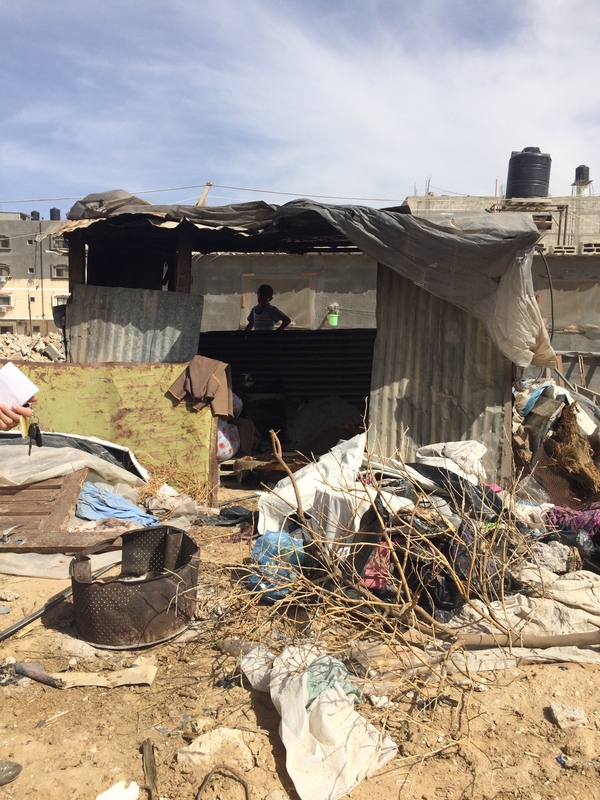 Nearby, and just beside a crater where the neighborhood mosque used to be, I found a makeshift kitchen built from scraps of corrugated steel and plastic sheeting. 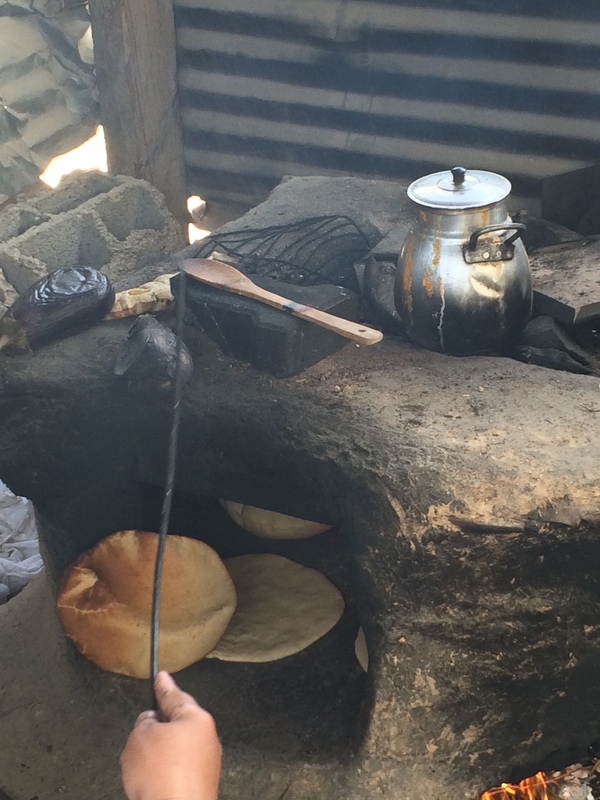 Inside a woman was baking bread in a wood-fired oven. She handed me a round of hot bread the second I poked my head inside. A metal vessel full of lentils sat bubbling on top of the oven, and two heat-softened eggplants lay to the side. For lunch she would smother pieces of fresh bread with the lentil stew and serve it with sliced onions, lemons and olives. She handed me a wooden spoonful of stew and asked me if it needed salt. It didn’t. I asked her where she got the firewood. Wood, after all, is scarce in Gaza. She told me the wood she was burning came from olive and fruit trees bulldozed in last year’s war. This was the saddest bit of irony I heard all day.